Of all the essential oils, lavender would be one of the best known, if not THE best known. It is one of the most useful essential oils, is easy to find and has a distinctive, but pleasant smell. Lavender is often referred to as the ‘Swiss Army Knife’ of essential oils. It can definitely make your life better and here are 5 of the tops ways to use it. Lavender oil is one of the top recommended natural treatments for headaches. There are many ways you can use it for headache relief. Mixing lavender oil with peppermint oil can be even more powerful when it comes to headaches. There is almost nothing better to help with relaxation and stress relief than lavender. Just the scent alone is quite relaxing and can help your stress melt away. Always have a bottle on hand so you can add it to your diffuser or inhale directly. Another option is to dilute it first then rub onto pressure points. Put it behind your ears or on your wrists, and you should start experiencing far less stress. This is a great way to use it throughout the day. Try adding it to massage oils, bath products, or candles as well to to create a calm environment. Simply smelling the sweet, floral scent of lavender can help with a foul mood or irritability. Keep a handkerchief with a couple drops to sniff whenever you might be having a bad day. If you have time for a bath, add some drops to the bath water. It will help you will feel refreshed and like a brand new person once you get out. Lavender is mild and compatible with most skin types making it ideal for skin care products. It’s relaxing scent, anti-inflammatory properties, and other healing qualities make it versatile too. Use lavender with a carrier oil and massage it into skin to bring relief from redness, acne, and age spots. Rubbed into the scalp, the oil can help to prevent hair loss. If you have a cut or burn lavender oil will help with healing and pain relief. At the same time you’ll get extra benefits from inhaling its aroma. 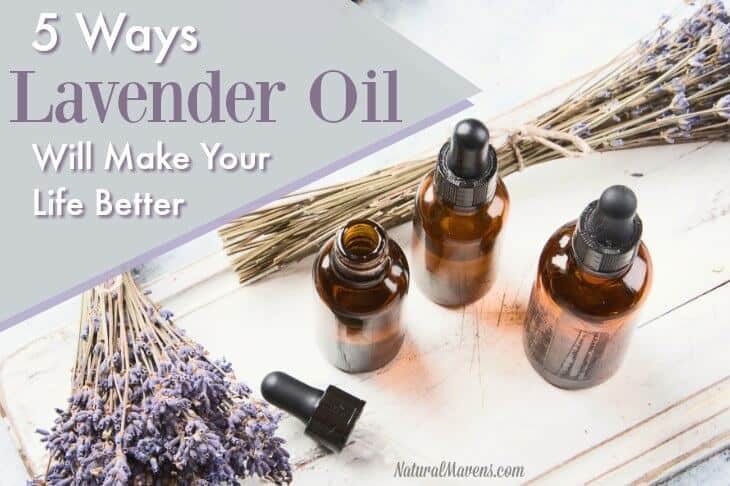 Lavender is also one of the best home remedies for bug bites. Ditch the toxic air freshener and diffuse lavender to provide a natural clean smell. Not only will the room smell great, the antiseptic properties will improve the air quality. You can also spray it in a room or use it on furniture as a natural deodorant. While lavender is very safe, it’s important to remember essential oils can be very powerful. If you’re taking medications such as anti-depressants or sedatives, lavender can interact with them. Talk with your healthcare provider before combining prescription medication with lavender use. Pregnant women and children are also more sensitive to lavender. It’s important to use smaller amounts and talk with your doctor or pediatrician if you have concerns. These are only a handful of the many useful ways that lavender can make your life better. The uses for this almost magical essential oil are never ending. Do you have any you would like to share?